The restaurant industry is buzzing about automation. With labor costs expected to double and consumer demand for a seamless checkout experience, many restaurants are looking at technologies that can automate tasks in the front-of-house. But there are back-of-house processes that have yet to be fully automated. While auto-counting your inventory may be a thing someday, it’s not here yet. So if you can’t automate the inventory management process, you can at least use tools that automate its more cumbersome aspects. Maximum labor output, higher levels of accuracy, and better accountability are possible with a system that automates certain tasks and enable manager productivity for on-the-job success. The many inefficiencies generated by manual, spreadsheet-based counting methods. 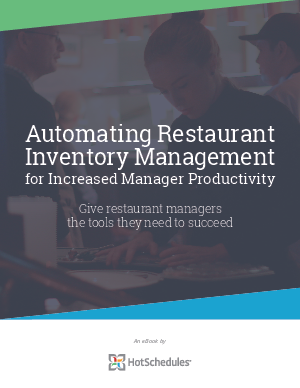 The innovations being made to inventory management technology. How modern, mobile inventory management tools will help your managers reduce costs and increase productivity.